We simply need $20 in order for us to get this tournament off the ground. Please check the details on AniClash Prime below. 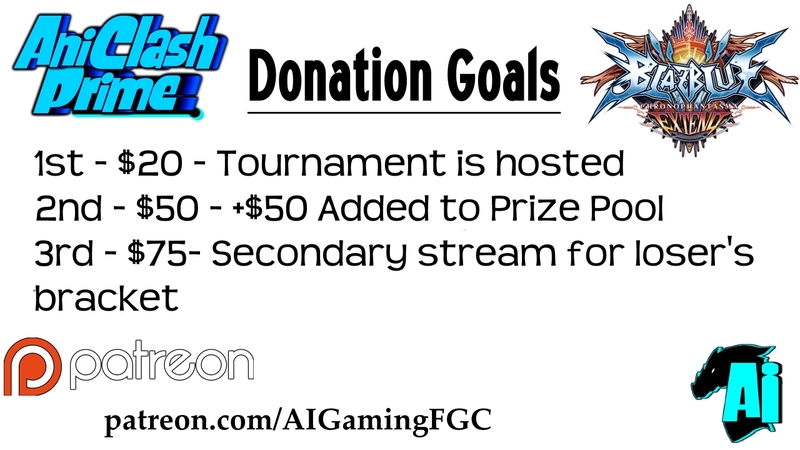 UPDATE - 4/14/2016 - Donation milestone for the 2nd tier reward (Advertising on stream) lowered to $20 (formerly $25). UPDATE - 4/22/2016 - Rewards categories now expanded to include $5/10/15/20 and $30 Patreon rewards. Please check updated info. Additionally, you can now donate via PayPal and receive Patreon rewards without signing up for an account. 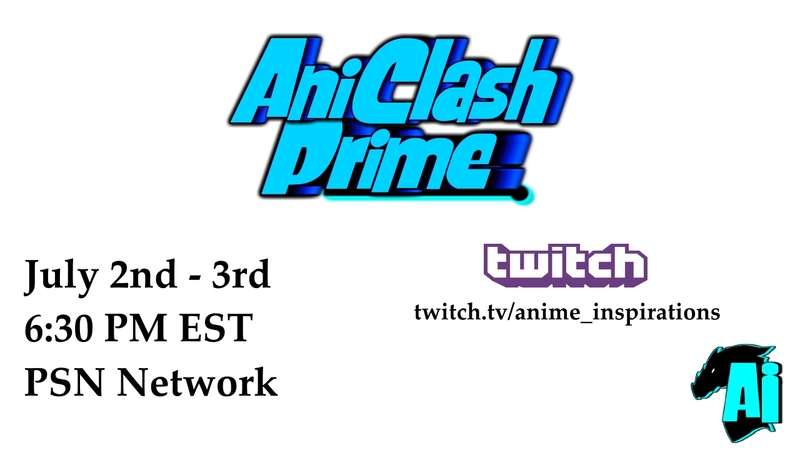 Receive an individual shoutout and gracious props from our esteemed commentators prior to the Grand Finals of AniClash Prime! 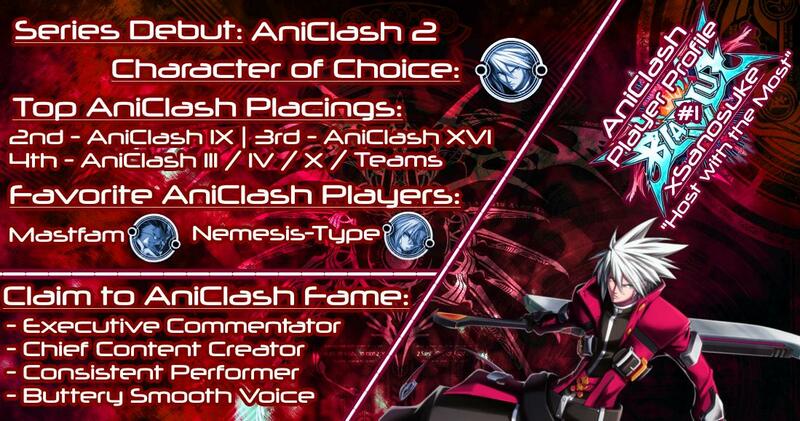 Receive your very own personalized AniClash Player Profile Pic! 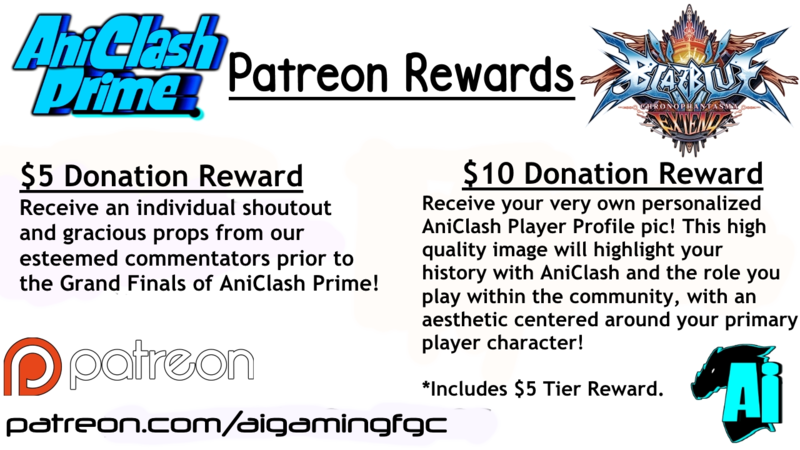 This high quality image will highlight your history with AniClash and the role you play within the community, with an aesthetic centered around your primary player character! 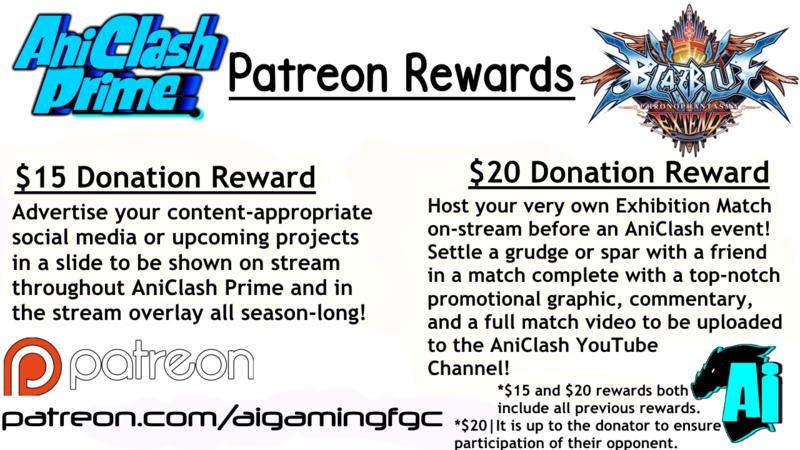 Advertise your content-appropriate social media or upcoming projects in a slide to be shown on stream throughout AniClash Prime and in the stream overlay all season-long! Host your very own Exhibition Match on stream before an AniClash event! Settle a grudge or spar with a friend in a match complete with a top notch promotional graphic, commentary and a full match video to be uploaded to the AniClash Youtube Channel! *It is up to the donator to ensure participation of their opponent. 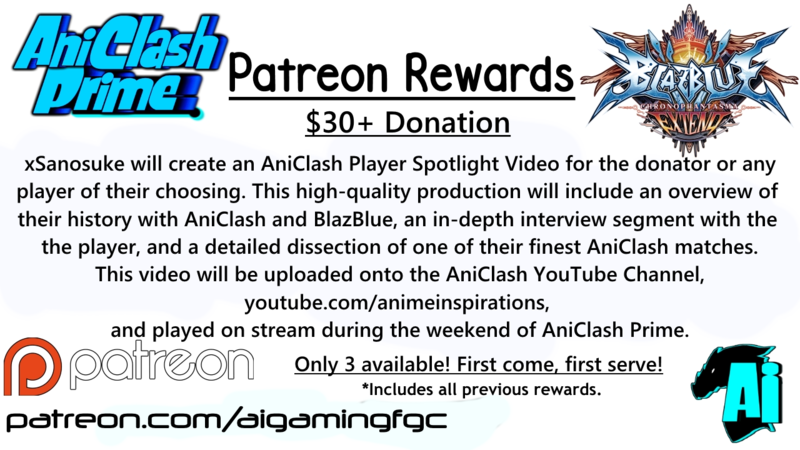 xSanosuke will create an AniClash Player Spotlight video for the donator or any player of their choosing. 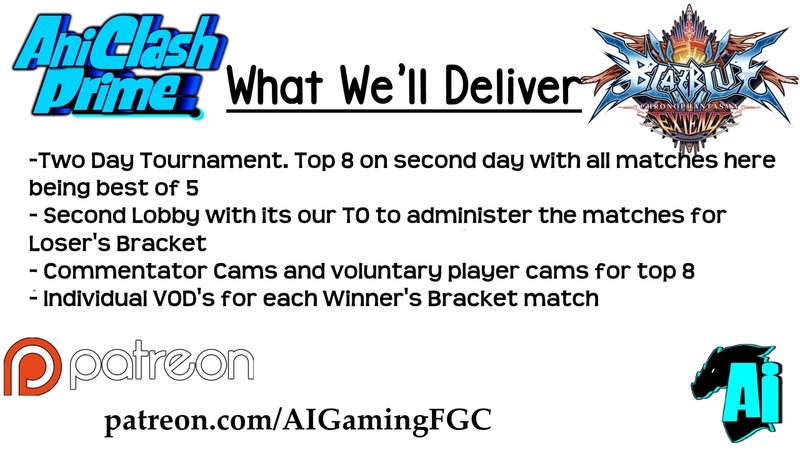 This high-quality production will include and overview of their history with AniClash and Blazblue, an in-depth interview segment with the player, and a detailed dissection of one of their finest AniClash matches. This video will be uploaded onto the AniClash Youtube Channel, youtube.com/animeinspirations, and be played on stream during the weekend of AniClash Prime.